New The story of the M.I.N.D. (Magnetic Integrated Neuron Duplicator) Device, and how Mindjustice.org got its name.Click here. 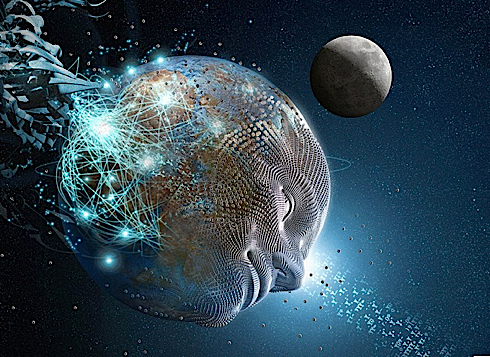 A human rights group working for the rights and protections of mental integrity and freedom from new technologies and weapons which target the mind and nervous system. For an overview of the issueclick here. President Obama will act on the Presidential Bioethics Commission December 2011 report. Now is a unique time for public input. Human subject protections should include a U.S. rule or statute that requires informed consent in classified research. University student Hoang Nguyen’s speech on experimentation law placed in the top 24 in the nation at the 2010 American Forensic Association National Tournament, cites Mindjustice.org’s researchFor copy of speech and background material, click here. 2010 book published. If you are interested in a serious academic discussion about the issue of electromagnetic mind control, I highly recommend this book.Electromagnetic Mind Control Fact or Fiction? A Scientific View by V. N. Binhi, with a foreward by A. R. Liboff, Research Professor, Center for Molecular Biology andBiotechnology, Florida Atlantic University, Boca Raton, Florida. Published by Nova Science Publishers, Inc. New York, 2010.Vladimir Binhi, a physicist at the General Physics Institute, Russian Academy of Sciences, is well known for his work on bioelectromagnetics and magnetobiology. Dr. Binhi has intensively researched these areas for more than 25 years. Dr. Binhi has published more than 50 works in peer-reviewed journals. His main publications are in leading journals including Physical Review, Europhysics Letters and Biophysics. His monograph,Magnetobiology, with a foreword by Nobel Laureate A.M. Prokhorov remains unique in that it is entirely devoted to the physics of magnetobiology. The book is now available at Nova Publishers.com. A short book review of Binhi’s book can be found at Sci Tech News, by Susan Fingerman, John Hopkins University Laboratory, 1-1-2010 Vol. 64 (2010) Issue 3. 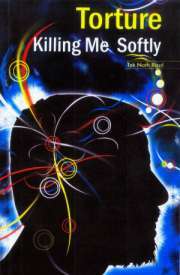 The 2009 book Torture, Killing Me Softly by Tek Nath Rizal alleges government mind control torture with secret electromagnetic radiation (EMR) mind control weapons. Tek Nath Rizal was a prominent government consultant to the South Asian country of Bhutan, before he exposed corruption in high places. 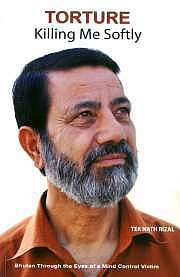 He became a popular political figure and internationally recognized human rights activist. His book is about his experience of several years of imprisonment in Bhutan with an emphasis on the EMR mind control torture. The U.S. Department of State and Amnesty International regarded Rizal as a political prisoner and won his release from prison. Rizal has written several books, some of which included his accounts of mind control torture. The books have been very successful in Southern Asia. Against all odds, he published this book, Torture, Killing Me Softly. Mindjustice.org extends our deepest thanks for his great effort and sacrifice. I highly recommend this well written, concise and ground breaking book. For the first time, a variety of medical, government and military professionals publicly acknowledge secret EMR mind control weapons for interrogation and torture in prisons and on POWs, prisoners of war. More Information, including links to reviews by Cheryl Welsh, and news services. August 11, 2009, at 10 pm pst. You may be able to view it at the History Channel; click on Full Episodes. It is available on itunes for $2. New That’s Impossible transcript now available here. Not for reposting. New 1931 Scientific experiment cited in 1997 MIT Press psychology book proves rudimentary subvocal thought reading is possible. Refutes Bioethics Commission expert’s testimony. Click here for citations and information. Cheryl Welsh, director of CAHRA [now Mind Justice] listed as one of six Non-Lethal Weapons Experts in the world in UNIDIR, United NationsInstitute for Disarmament Research 2002 Media Guide to Disarmament inGeneva. Eldon Byrd was a Medical Engineer with an MS from The George Washington University. He was a POLARIS submarine expert for industry, and held various positions in the US Government, including Strategic Systems Analyst, Operations Research Analyst, Cryogenic Engineer, Head of the Department of Defense Environmental Projects Office, Project Manager for the Navy’s Metal Matrix Composites Program, and Project Manager of the Marine Corps Non-Lethal Electromagnetic Weapons Project. His contractors for this project included Drs. Ross Adey, Michael Persinger, and Robert Beck. He is considered to be an expert in the biological effects of extremely low frequency magnetic fields. He was the technical consultant for the book “Maze”, by Larry Collins, and was directly involved in the evaluation of Igor Smirnov’s “Psychodiagnosis and Psychocorrection” technique while Smirnov was in the US. Dr. Byrd died on Dec. 30, 2002. The Scientific American, October 2005 article entitled “The Forgotten Era of Brain-Control Chips” by John Horgan, cites Mind Justice. “…Other Web sites …deplore it as a government mind-control plot, www.mindjustice.org“. Click here for brief citations. To see relevant excerpt, click here. Access and download the entire article from Scientific American pay-per-view electronic archive at www.sciamdigital.com. 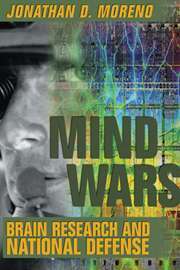 Cheryl Welsh is cited in Mind Wars: Brain Research and National Defense by Jonathan D. Moreno, Ph.D. On page ix, “Acknowledgements Mind Wars grew out of a wide variety of conversations and experiences. Among those who provided me with specific assistance on problems I confronted as I explored this largely uncharted territory were . . . [list of seventeen names including Cheryl Welsh].” For book review, see Nature, Vol 443, 26 October 2006 page 911, Battlefield between the Ears by Charles Jennings.2007 JAMA book review, click here. 2007 Bulletin of the Atomic Scientists (Online) book review,click here. 2007 National Catholic Reporter book review, click here. Cheryl Welsh has prepared a relevant article, The 2006 Government Mind Control Debate and Book Review (300k). Also available are a smaller file of just the Summary (30k) and a pdf file (600k). For over ten years, V.N. Lopatin, a former Russian duma member, has worked to pass the 2001 Russian law banning electromagnetic weapons. Lopatin’s 1999 book Psychotronic Weapons and the Security of Russia is available at the UC Berkeley library and included an outline of the threat of psychotronic weapons and war and the importance of public relations concerning this global threat. Lopatin has a law degree and is currently the director of a large private firm in Moscow.V. N. Lopatin interview for 2006 Project Censored academic paper on mind control weapons. Lopatin wrote: “Entering a new century, humankind is facing a choice between war and peace again, but this time this is not a land or space war, not nuclear or chemical, but an information war. . . . Nevertheless, introduction of limitations of manufacturing and circulation of this kind of weapon, international ban on information wars, may and should be done.” The Lopatin interview contains new information on Russian laws, for example, prohibiting the “making and (or) distribution of TV, video, movie programs, documentary and feature films, and also computer files related to special mass media and programs of processing of information texts, that have subliminal messages, influencing people’s subconscious . . . ” Click here for full translation. Description of fundamental publications of V.N. Lopatin about problems of research in the sphere of informational security. Books (monographs, scientific publications, books, textbooks). Click here. V.N. Lopatin’s answers to Project Censored interview questions, click here. The principle possibility of the use of biological action of the electromagnetic field (EMF) by terrorist elements is examined, and also the respective possible ways, methods and aims of electromagnetic influence on bio-object, corresponding measures on warning of negative consequences of such influence are analyzed. The article is prepared on the basis of the materials of lecture by authors at the 2nd International conference “World association against globalization of criminality and terrorism”, holding in Moscow on January 20-21, 2004. As reported in Los Angeles Times, January 29, 2005 “Giving Until It Hurts;” by Kim Murphy, “…In 2001, President Vladimir V. Putin signed into law a bill making it illegal to employ “electromagnetic, infrasound … radiators” and other weapons of “psychotronic influence” with intent to cause harm. An official note attached to the bill said Russian scientists were trying to create “effective methods of influence of humans at a distance.” Actual russian law and background information posted here. 2001 Russian Book Translation Project Results. Also available as a pdf. Draft law with detailed descriptions of psychotronic weapons, Nov. 2000. “Protections for human subjects of classified experiments still lacking”, as featured in theNorth Bay Progressive newspaper. This article has been nominated for a 2004 Project Censored Story award. A special thank you to Vincent Cano, Founder and Director of Angelic-Harp Foundation athttp://angelicharpfoundation.org . Vincent approved two grants for Mind Justice Projects in 2006 and the results will be posted in 2007. Click here for details. For the first project, the web version of the full Project Censored article, click here. The Mind Control Debate is Over. What Next? by Cheryl Welsh, director, Mind Justice, February 2008. An Adobe Reader pdf Version is available (143k). In Contravention of Conventional Wisdom, CIA “no touch” torture (also available as a pdf) makes sense out of mind control allegations, by Cheryl Welsh January 2008. The similarities are striking, as if a government manual for mind control targeting has been found. Now studies of allegations have a scientific framework from which to begin.Cheryl Welsh was invited to speak about mind control allegations at a recent workshop on ethics and interrogations by the workshop director, Jean Maria Arrigo PhD. Dr. Arrigo commented on this article. Jean Maria Arrigo, PhD, is an independent social psychologist and oral historian whose work gives moral voice to military and intelligence professionals. See, for example, Arrigo, J.M & Wagner, R. (2007). “Torture Is for Amateurs”: A Meeting of Psychologists and Military Interrogators. [Special issue]. Peace and Conflict, 11 (4). Washington Post covers mind control victims: a significant step forward in gaining the attention of the U.S. media to their serious plight both in this country and around the world. Click here for details . 2000 CAHRA [now Mind Justice] Research Report – growing evidence. Available as pdf and rtf. May 1998 CAHRA [now Mind Justice] Research Report – Speculative conclusions, but inevitable future public issue of new technologies. Available as pdf and rtf. Allegations match electromagnetic weapons technology. Further investigation is needed. Artist Susan Hayes depicts mind control targeting in her art work. She is regularly featured in art shows in New Hampshire. See a collection of her black and white sketches here.